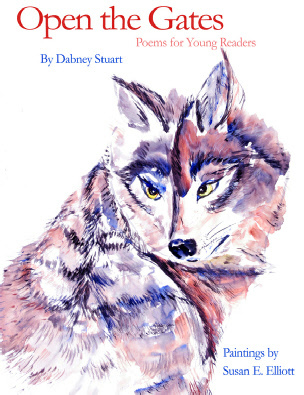 Dabney Stuart's love for the animals that inhabit the earth pulses through this new collection of poems for the young and the young at heart. From rhinoceros to remora, iguana to impala, whale to water buffalo, & chameleon to crocodile─the dozens of animals in Stuart's poems come alive in a spirit of playfulness. Coupled with Susan Elliott's spirited watercolors, the poems magnify the wonders of being young. Stuart’s poems show the beauty and enchantment of friendship: the koala and the kiwi, the eel and the clam, the fiddler crab and his companions, and the dove cooing to an empty sky, hoping another hears. Adults will appreciate the poems’ intelligence, questions about the world, and Stuart’s masterly expertise with the English language; while younger children will delight in the sounds and playful stories embedded in the poems. The watercolors are works of art that will engage and enchant older and younger readers alike. “This award-winning Virginia poet, best known for his personal poetry and his dazzling variety of styles, has turned his hand here to verse for children, with delightful results”.─CAROLINE PARR Read the Review. “It talks about extinct animals, grandfathers and about children playing in the sand . . . . I’m fascinated by language and the shapes I can give it, how you can evoke or suggest things and connect things without having to tell a story but to imply a story. It’s not the shortness; it’s the compression you can make in a poem”.─CLAUDIA SCHWAB, Times News-Gazette, Lexington VA Read the Article. Young readers are sure to enjoy the different poetry forms that they will encounter in this book, and... become fond of at least one animal that is mentioned in this poetical menagerie.─MARYA JANSEN-GRUBER, Through the Looking Glass Children’s Book Reivews Read the Review. DABNEY STUART has published fifteen previous volumes of poetry, most recently Tables, Family Preserve, and The Man Who Loves Cézanne. A former resident at the Rockefeller Center in Bellagio, Italy, he has also held a Virginia Artists Fellowship, two fellowships from the National Endowment for the Arts, and a Guggenheim Fellowship. He won the Library of Virginia Poetry Prize for 2006. His work is in the audio and video archives at the Library of Congress. Stuart and his wife Sandra live in Lexington, Virginia. SUSAN ELIZABETH ELLIOTT is an artist, ecologist, and writer. She studied botany and French at Humboldt State University and has a Ph.D. in biology from Dartmouth College. Her paintings are inspired by a combination of Western and Eastern watercolor techniques. This is her fourth book. Elliott lives in the Colorado Rocky Mountains. which means that you can't see him, right? a yellow frisbee where he sleeps. for the answers we’ll never know. Exquisitely lovely illustrations and perfect poetry; the poet invites even the youngest mind to enlightenment. I admire the art work, so delicate, like Chinese painting, yet unique because Ms. Elliott understands the importance of space.  The Chinese say that space is where most of the qi resides in a painting. Her use of pastel colors and delicate brush work invite a new outlook for children's art. Although I am very partial to children (their vulnerability and their open-mindedness), I know their understanding will outrank that of some adults. Tables (2009) From nuclear physics to astronomy, Stuart explores themes of family, friction, and art (6"x9" paperback, 100 pages, ISBN: 978-0-9821561-1-7, $15.00, New Mexico Book Award Finalist). Only the One Sky (2016) A timeless world, dialogs with an old poet, whom we see as he muses in forests, along the river, or come through time (6"x9" paperback, 112 pages, ISBN: 978-1-936671-36-6, $16.00). Greenbrier Forest (2012) Meditations deriving from the sights and sounds of Greenbrier Forest in West Virginia (6"x9" paperback, 80 pages, ISBN: 978-1-936671-03-8, $15.00). Times Body (2014) New and Selected Poems (1994-2014), (6"x9" paperback, 174 pages, ISBN: 978-1-936671-22-9, $18.00).